Pipe a thin layer of choco Croquantine inside the tart then press inside the tarts the Sao Palme 75% Brownie. Pour into the Silikomart Globe Mold (591071) the Peanut Butter Creme; add one raspberry inside; Freeze. Pipe the mousse half way into the bottom of the Half Sphere Mold; press inside the Peanut Butter Crème insert scrape off excess. Freeze. 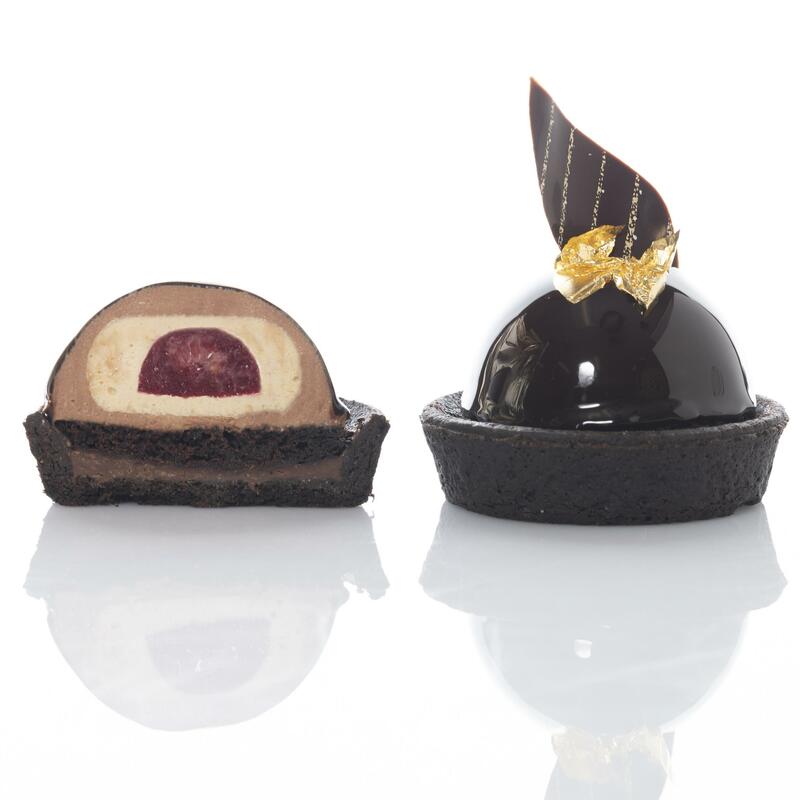 Melt the dark mirror glaze add desired amount of water to achieve desired consistency; then glaze the frozen domes. Place on top of tarts. Garnish with PCB Curved Leaf Duo. Combine the Zürimix and heavy cream in a pot; bring the mixture to a rolling boil while stirring constantly. Stir in the peanut butter. Pour into the Silikomart Globe Mold (591071). Freeze.